All right! 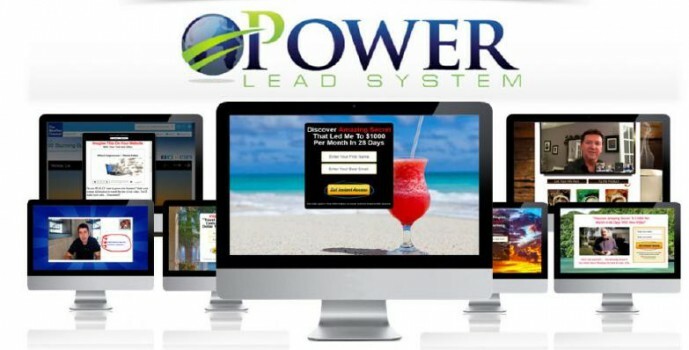 If you’ve been looking for an All-In-One online marketing platform, you may have come across Power Lead System. Here’s my 2018 Power Lead System review for you- the good and the bad. PLS is both an online marketing tool and training platform- perfect for online learning about growing a business. When I first came across Power Lead System and tested it out to review, I was shocked at how simple and straight forward it was to set up. There are a lot of programs out there where it takes a while before you’re up and running. That’s fine, but it’s even better when you can skip all that and just get to the meat of making money. Power Lead System is a platform that makes it simple for anyone to create lead capture pages (squeeze pages) with conversion tracking, start an email autoresponder list, run a live webinar, and create a sales page, along with much more like voice and text messaging. Who is Power Lead System Intended For? PLS is ideal for small business owners. Whether you have small local business and want a way to build a list and offer goodies to your customers on a professional looking site, or you are involved in direct sales,MLM, or especially online affiliate programs, this system can work for you. In fact, the back office is set up so that you can select your business from 100’s listed and have a custom autoresponder email campaign created instantly. Whether you’re new to online marketing or experienced with list-building, you’ll find the ease of using their professional lead-capture pages refreshing. 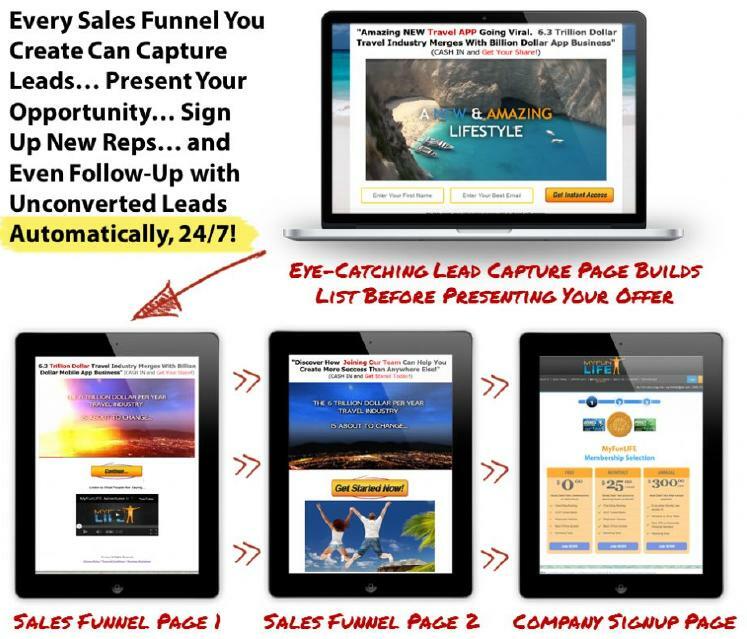 I generate leads across many businesses using my Power Lead System sales funnel, which is an affordable ClickFunnels alternative. Does Power Lead System work? Let’s face it, there are a lot of lead capture page creators out there that you can use. And a lot of webinar hosting platforms. Unless you’re using PLS, you’re either going to add another big monthly bill and complicated system to your toolbox, or you’ll be stuck in techie geek purgatory trying to figure out how to set up wordpress hosting, install the plugin, make sure it’s compatible and working properly with your WP theme, and then finally get to designing a lead capture page. With Power Lead System, you simply log in and create a new page. You can either choose from a huge selection of templates, which will often even integrate with your company’s replicated sales pages, or you can build your own. Conversion tracking happens automatically! No need to sign up for yet another service. The autoresponder works similarly, and the great thing is that it is integrated into the lead capture page system. It’s simple and eliminates the need for yet another monthly subscription. My team receives the best Power Lead System bonus package including custom lead pages, sales funnels, and autoresponder sequences so that you stand out from other PLS affiliates and offer an overwhelming advantage. What if I don’t have a business? If you’re looking at Power Lead System as a business opportunity to stand on its own, you’re in luck. This is a product and service you can offer that will also be a legitimate way to make money online. There is a generous compensation plan built into the program that allows you to create incredible leverage with your income, especially when you have all of the products. How do you get paid? See details here. Heck, there’s even a FREE lead system you can give away to get people started! Is Power Lead System a scam or does it pay out? There are a lot of business opportunities online. After being in some programs that have changed comp plans and sold over-hyped earnings projections, I’ve been impressed at the longevity and stability of this particular program. Not only have the owners stayed engaged and continued to add features to the system over time without raising the low monthly fee, they’ve also managed to keep the message of Power Lead System one of serving the customer rather than telling reps to earn bajillions of dollars with the system. My personal experience has been regular and consistent payouts from the first week that I got started. (As with anything, results will vary and are not guaranteed). I promised earlier that I would talk about the downsides of PLS. There are a couple that I’ve seen so if you can get over them, then this is probably a great product for you to pick up at the bottom of this page with my special bonus link. First drawback of Power Lead System is the interface. This is not a shiny object from 2017. It is an established marketing system with many options and the interface shows that. The menus look like they’re a few years old because it’s actually been around that long, unlike some of the one and done products out there. The second drawback is that not every MLM and affiliate program is in there with preprogrammed lead capture funnels. Sure, there appear to be over 100, with programs like Mary Kay, IncomeJack, Amway, Isagenix, DoTerra, and a whole lot more, but not everything can be loaded. If you let them know about a program that isn’t included already, they’ll do what they can to include it. What Training Does Power Lead System Offer? When you’re a Gold member (Silver + affiliate), you immediately receive the Endless Free Leads 11.0 training system ($297 value). This reveals how to grow a massive network on facebook and get incredible exposure. The step by step directions are simple for people who are brand new to facebook to follow, and also have tips that experienced marketers will benefit from employing. The tactics work and will help you WIN the online marketing game. Beyond the Endless Free Leads system, the Silver and Gold membership levels offer training on a wide variety of other marketing approaches for online and offline marketing. Facebook, PPC, and Unlimited Exposure training for results. 2x/week live training webinars to learn how to market online, use your PLS tools, and grow a business. My team receives additional first-class training bonuses you’ll be able to use to get going. I’ve personally paid more than $12,970 for the lessons that you receive for the cost of getting started. Discover how to get them FREE. As long as you stay committed to growing your business, you will always have ways to build it bigger. When you purchase the Diamond Level training, it is a one time investment which also enables you to earn leveraged commissions. This training has innovative ways to reach mass markets for FREE and grow your business exponentially. If you’re doing any sort of marketing, or haven’t started yet, this training lays out how to increase your exposure and reach more prospects fast. This is high level facebook ad training that will enable you to learn more about facebook and how to promote any program you desire. Expand your social media reach to professionals, millenials, and retail buyers with CPA (cost per action), Youtube, Snapchat, and Facebook, and remarketing. No matter what niche you’re in, these trainings will help you generate more leads, sales, and get to the heart of your target market. When you go Platinum on my team, you receive well over $8,990 worth of bonuses, along with the ability to make more money promoting the system. Get all the details here. Sign up here to claim my exclusive team bonuses and you’ll get your first week FREE!